Crisis-hit Japanese automaker Nissan slashed its full-year forecast Tuesday as nine-month net profit dropped 45 percent in the first earnings report since the stunning arrest of former chairman Carlos Ghosn. The firm blamed growing costs of raw materials and emerging economy foreign exchange declines for its bottom-line profit dropping by 45.2 percent to 316.7 billion yen ($2.9 billion). 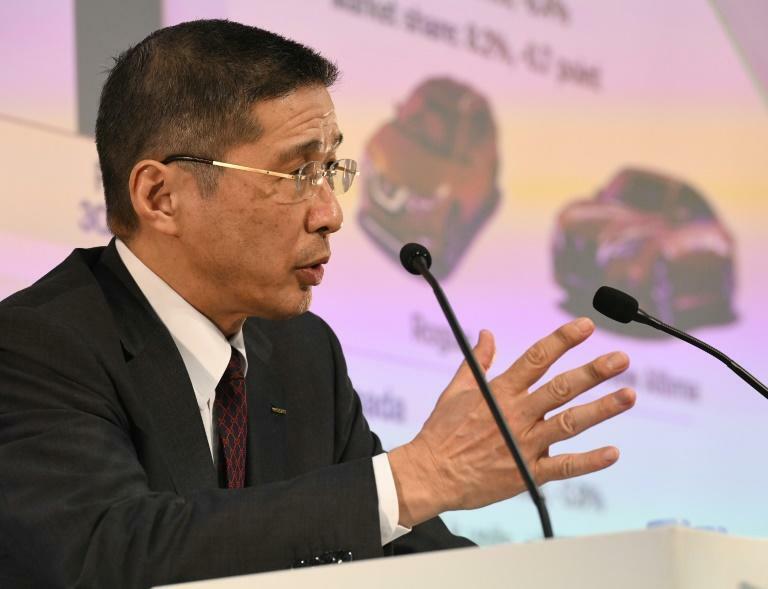 The disappointing nine-month performance and a change in accounting methods forced the manufacturer to downgrade its net profit forecast for the fiscal year to March to 410 billion yen, compared with 500 billion yen projected earlier. Annual sales are now seen at 11.6 trillion yen, down from an earlier estimate of 12 trillion yen. The results came as Nissan and its partners Renault and Mitsubishi Motors are seeking to turn the page on Ghosn's arrest for financial misconduct, which has exposed a rift in the three-way tie-up. CEO Hiroto Saikawa vowed to "refine" the firm's ties with Renault, whose new boss Jean-Dominique Senard is expected to take Ghosn's position on the Nissan board. "This alliance is our very big strength and asset," Saikawa told reporters after the earnings were announced. He said that the firms "respect each other's independence" but strive for "win-win" results by maximising synergies. But Satoru Takada, an analyst at TIW, a Tokyo-based research and consulting firm, warned the alliance still has a bumpy road ahead. "Confusion surrounding Nissan's management is expected to last a long time, as it's not easy for the two companies to strike a deal on tough issues, including capital relations," Takada told AFP. "It's hard to find a manager like Ghosn who can take balanced actions," he said. Ghosn stands accused -- among other things -- of under-declaring some nine billion yen in salary between 2010 and 2018 and continues to languish in a Tokyo detention centre after being refused bail. Nissan said it was accounting for this under-reported salary -- technically owed to Ghosn -- although Saikawa said that "I personally don't think that we will reach a conclusion to pay this money." The Nissan results came at a tough time for Japanese carmarkers. Last week, domestic rival Toyota slashed its full-year net profit forecast after saying its nine-month figure had tumbled nearly 30 percent as it was hit by investment losses. Honda logged a net-profit fall of 34.5 percent for the nine months to December but revised up its full-year forecasts thanks to strong motorcycle sales. Toyota and Nissan have also seen their strategy affected by uncertainty over a possible British exit from the EU without a deal. Nissan has announced the cancellation of plans to build its X-Trail SUV at its plant in northeast England despite Brexit assurances from the government. Global vehicle sales for Nissan fell 2.1 percent to 4 million units for the nine-month period because of declines in North America and Europe. However, sales for the nine months came in at 8.6 trillion yen, up 0.6 percent on-year.